The right self-storage facility in Palo Alto can be a nice convenience, but an improper fit can be a waste of money! This is why you should always put some careful thought into your professional storage services before diving in. It helps to think about the belongings you have that you would like to put into storage as well as the locations of the facilities you have in mind. Be sure to learn as much as possible about each of your options before making a decision. Keep reading for more tips on evaluating your storage needs. Before you decide on a specific storage unit—or even a certain storage facility—you should first take a look at the belongings you plan on storing. Your storage facility will offer a range of different sized units, and you must have some idea of how much space you will need. You might end up with crushed or broken belongings if you try to cram too many things into a small space; at the same time, you do not want to pay for a bunch of extra space that you do not need. Start evaluating your storage needs by walking around your home and deciding exactly what you will be placing in storage. In addition to the actual units themselves, there are many other elements to research when it comes to storage facilities. You will want to find out what kind of security measures are in place that will keep your belongings protected while you are not there to watch over them, and you will also want to understand how you will be able to access your things. Different storage facilities offer different amenities, so carefully consider your options before you make your decision. One aspect of self-storage that is often overlooked is the whereabouts of the facility compared to the location of your home. You might find a great deal a town or two over, but consider whether or not the local storage facility would be a better option because of its convenient location. You have to sell your current home before you can move to a new one, and a big part of this process is staging. Properly staging your home can make it as appealing as possible, which encourages potential buyers to make an offer! 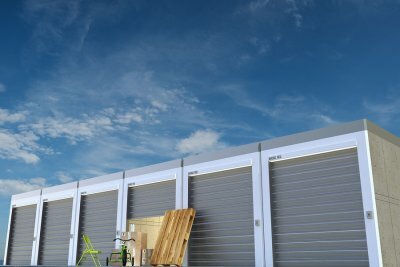 Find out how renting a storage unit from a self-storage facility in Mountain View can help by watching this video clip. A properly staged home should be clean, impersonal, and clutter free. A clean and well-kept home should have a nice paint job, aesthetic doors, and quality floor treatments. It helps to remove pictures of yourself or your family so that people can imagine themselves living in your home during the open house. If you have a bit of clutter around the house that you do not want to throw away, consider using a storage unit rental to keep your belongings out of sight and in a storage unit while you show your house to potential buyers.